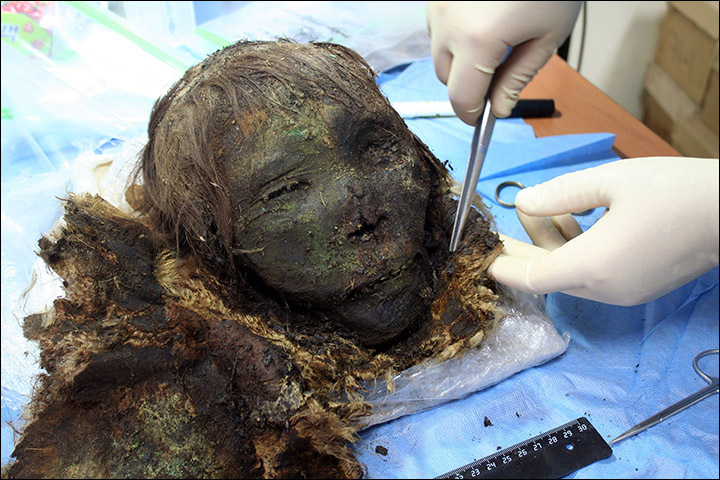 The incredible mummy of a ‘polar princess’ has been unearthed at the edge of the Arctic with her long eyelashes and hair still intact after 900 years. 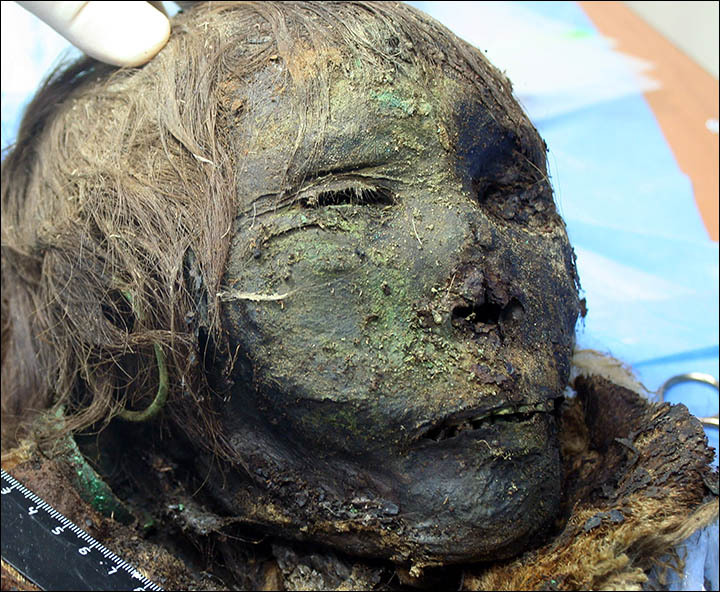 Member of a mysterious medieval hunting and fishing civilisation, she was the only woman buried around three dozen men in permafrost in the 12th century. 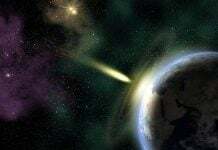 Scientists are baffled. 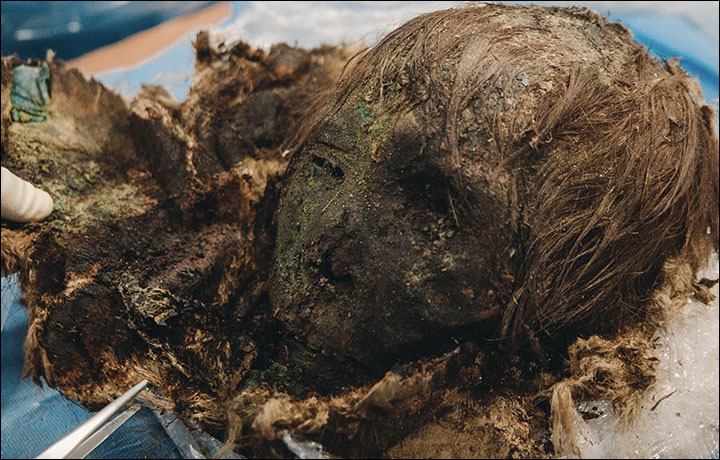 Aged around 35, she was the only woman buried around almost three dozen men, and the detail on her accidentally mummified remains is astonishing. 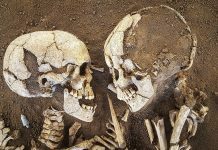 She was a member of a mysterious medieval hunting and fishing civilisation that held sway in this polar region, but had connections to Persia. 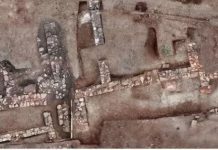 Archaeologists are puzzled why she is the only adult female found in the necropolis, and had earlier thought this was an all male burial ground. It could mean she was an elite member of her society. 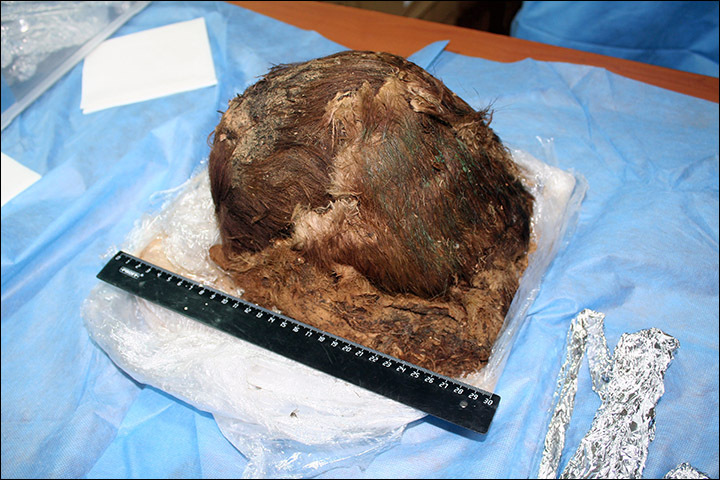 A small baby found in a grave nearby – also probably female – is not believed to be related to this middle ages mummy. 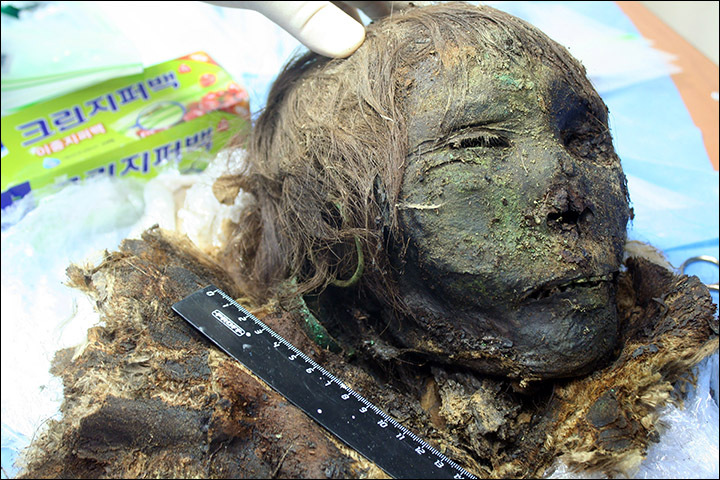 Another frozen mummy from a mysterious and forgotten civilisation found in Siberia.